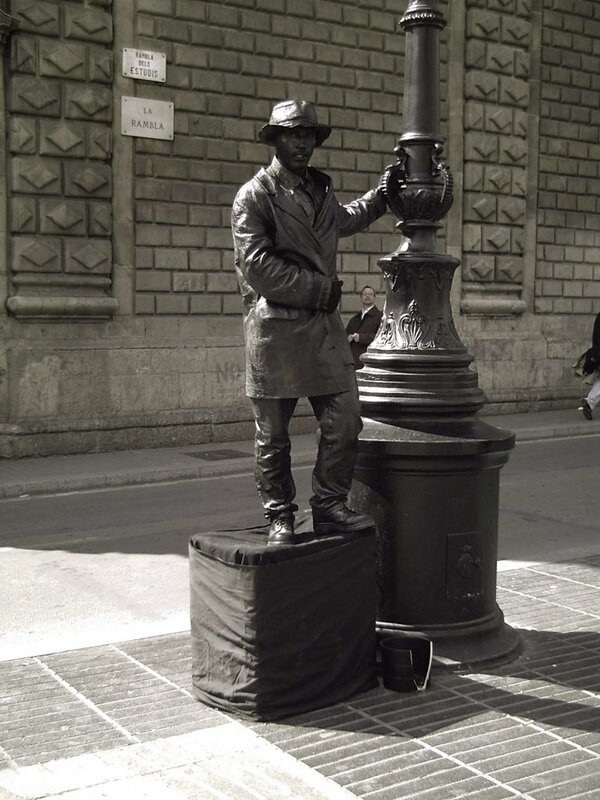 This Barcelona street artist is number XII in my particular series. Although you can't tell much what was it he wanted to represent, there is something about the light and the use of the lamp post as a prop, that gives the picture some sort of old classic touch (this is my personal opinion, of course). Satellite View of Las Ramblas in Barcelona, Spain.